Wedding weight loss in the UAE can take time so make sure you prepare well in advance. We asked a wedding weight loss fitness coach for some tips and advice. Many brides to be in the UAE want to lose some weight and get in shape for their big day - how can a personal trainer in the UAE Help? Wedding weight loss isn’t just about dieting in Abu Dhabi or Dubai. In order to lose weight effectively a personalised wedding weight loss training plan is the right way to go. As a wedding weight loss personal trainer for brides to be in the UAE how much time would you say is realistically needed for a bride-to-be in Abu Dhabi or Dubai to get to their wedding weight goal? Ideally as much time as possible. Many brides I’ve worked with in Abu Dhabi have given themselves as much as 12 months in order to get ‘wedding ready’. The longer you give yourself, the easier the process becomes. If you give yourself 3 months, you will have to be fairly strict with your training and nutrition. And the added stress at an already demanding time, can really play havoc with your progress. If in doubt, start NOW! There are many diet plans available which are targeted at wedding weight loss – 1 month, 2 months, 6 months etc. However, do you think diet alone is answer or should women in the UAE also be looking at some form of training too – are there benefits to combining both? Nutrition and Dieting will only get you so far. If you are ultimately looking to enhance your reflection in the mirror, at some point exercise becomes a vital part of that. Developing a flat stomach, toned arms, and a pert bum is all done through training – Nutrition can’t help you there. Is it better for a bride to plan ahead as far as possible when it comes to wedding weight loss training and if so what advice can you give about pre-planning with regards to time? Give yourself as much time as possible, this will make the process as smooth and as easy as possible. Meaning that you can lose weight at a slower rate, or train at a steadier pace. Tricks I always suggest are to buy your wedding dress as early as possible and buy it in the size you want to be. The physical goal of having to fit in the dress will keep you way more accountable on the run up to your big day. Crash dieting is not the best option for losing weight. However, for brides short on time is there an alternative rapid weight loss program that works and is safe? If so can you explain more? 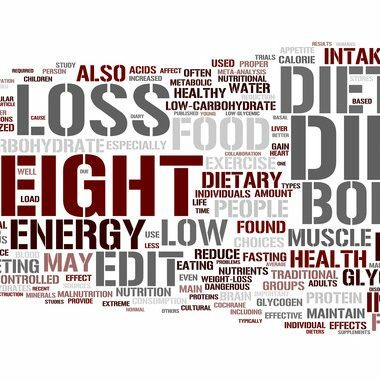 Crash Dieting is not advisable at all – however weight can be manipulated like most things in the body, and it ultimately boils down to what you are consuming vs what you are exerting. If you are short on time – restrict the food you intake to Protein and Veggies and restrict the amount you consume, and massively increase the amount of exercise you do. This will put you into a huge calorie deficit, which will get the scales moving very quickly. Because wedding weight loss has a fixed time scale how important is it for the bride to stick with the exercise and diet plan? The longer you give yourself, the more flexible your exercise and diet plan become. If you and your trainer are working with very tight time frames then commitment to the program is essential. Without your full commitment the program will fail. As a wedding weight loss personal trainer in Abu Dhabi what would be your top 5 tips for any bride who is thinking about losing weight for their wedding? -Start your Abu Dhabi Wedding Weight Loss plan NOW – don’t procrastinate on the decision. – Set your goal right at the start. Know exactly how much weight you want to lose in exactly what time period. – Do something every day. Even on the days when you are not in the gym, go walking or running. – Don’t just measure your results by how much weight you have lost. Take circumference measurements and have your body fat tested. Weight on the scales can be very unpredictable and can vary wildly, so have other measurements of improvement to keep you on track. Preparing for your big day - wedding weight loss fitness coaches are here to help. Many brides-to-be decide to shed a few extra pounds before their wedding day – it’s only natural for you to want to look your best. Timing is crucial though which is where a wedding weight loss fitness coach can help. Using their specialist knowledge they will create a tailor made plan just for you in Dubai, Abu Dhabi or Sharjah.